Over 11,000 people are injured and 27 people die every year as a result of elevator/escalator accidents. In Georgia, over 140 elevator/escalator accidents occurred last year, many of which took place on MARTA and at an assortment of Atlanta shopping malls. These accidents can result in brain injuries, limb amputations, permanent disfigurement, and even, death. Personal injury lawsuits involving escalators can be particularly tricky for even the most experienced Atlanta personal injury lawyer, as the blame can be focused on multiple parties. Escalators and elevators are almost always bought from a outside corporation. Additionally, most of these transporters are maintenance by a third party company. Generally, when filing a claim for an escalator or elevator injury, the property owners will be held responsible for the machine’s failure, as it was their responsibility to keep the device working in a safe manner. In a Metro Atlanta elevator/escalator injury lawsuit, your attorney will have a lot of work in front of her in order to gather the proper maintenance records, inspection logs, repairman testimony, operating permits, purchase documents, insurance polices and more. This evidence will all be crucial in helping your Atlanta personal injury lawyer prove the owner had some knowledge that the elevator or escalator was not functioning properly 100% of the time and failed to completely fix the problem. This knowledge is an important part of proving property owner negligence. If that specific model of escalator or elevator was found to be defective, you may also be eligible to sue the manufacturer under product liability. If the company failed to inspect and test the machine before releasing it to market, created a flaw in the product and failed to warn the public about a potential risk of the product, they may be held liable for any damages done as a result. Occasionally, a dishonest service and maintenance company will tell a property owner they have been maintaining an elevator or escalator monthly, when they have not been. If this is the case in your claim, the maintenance company may be at fault. These companies are required to provide proper lubrication, adjustments, maintenance and upgrades on a monthly basis. If they do not do so or fail to keep appropriate records, provide inadequate repairs or fail to stay updated on current standards and codes relating to the device, you can sue. Your personal injury lawyer in Georgia can help you decide which liability case type applies to your specific situation. 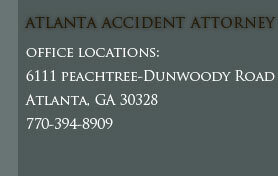 Call the Sandy Springs Ashenden & Associates, P.C. 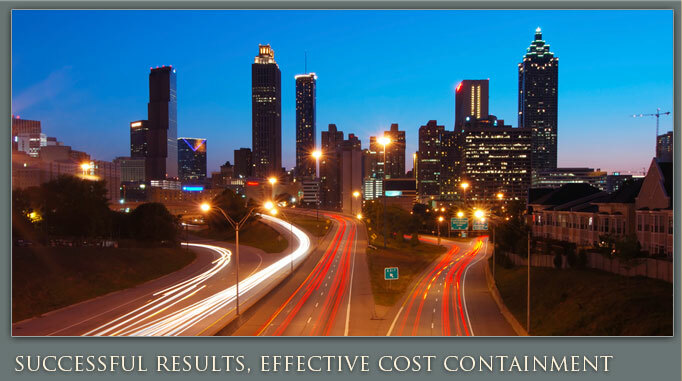 to find out how our quality Atlanta elevator/escalator personal injury attorney representation can enable you to get back to your everyday life after experiencing an elevator or escalator accident.